The Fusion Knot tying technique was created by JD of TyingItAllTogether and the designs shown in this post are all his designs. 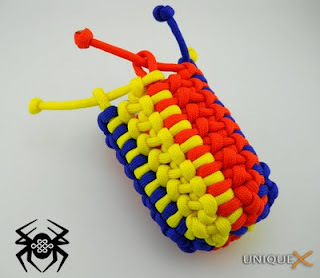 I saw most of, if not all of these designs on the TyingItAllTogether Facebook page. 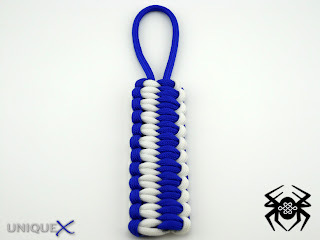 At the time I tied these, he hadn't yet presented tutorials on the designs and I enjoyed the challenge of trying to tie them myself. In this article, I will show four designs that I really like and I hope you will as well. 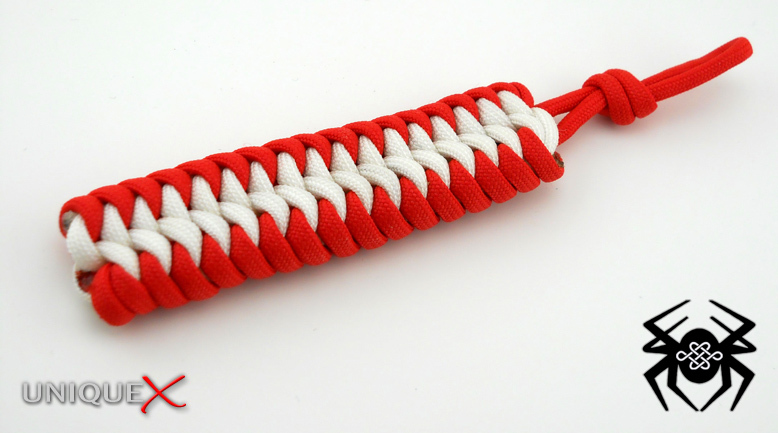 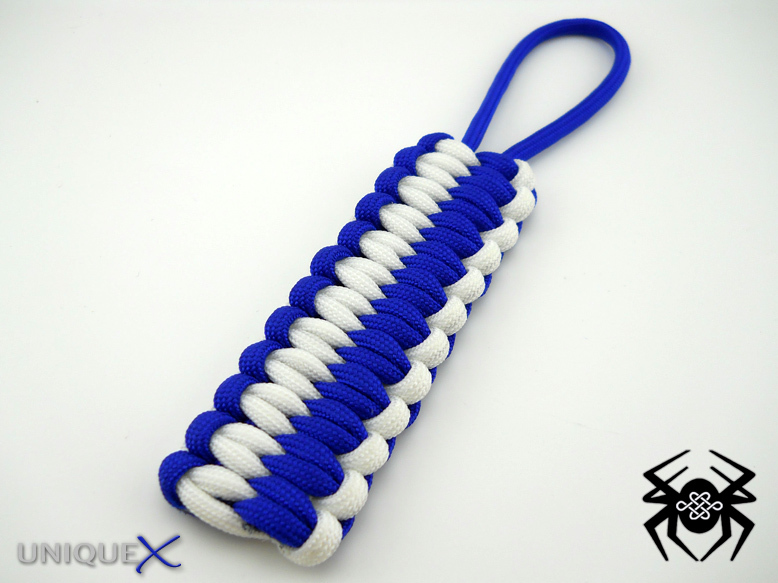 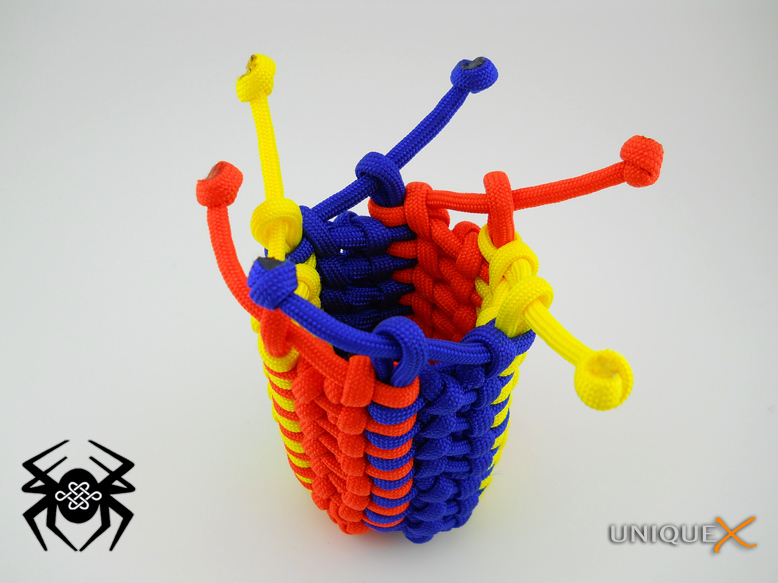 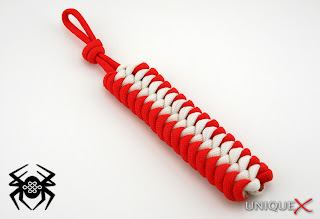 This design is a modification of the Paracord Utility Pouch that is tied with an extra strand of paracord. 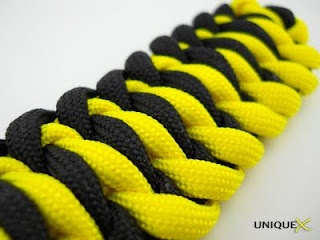 JD originally showed this design as a TIAT Concept Preview. 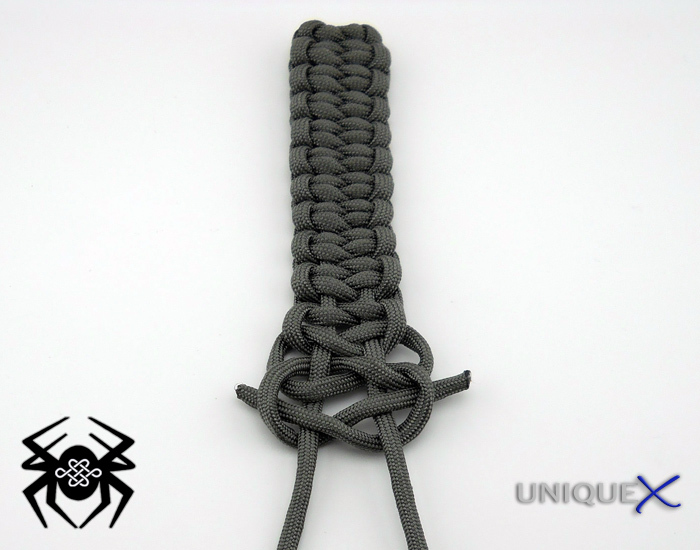 JD will probably show a video of the tying technique for this design soon. 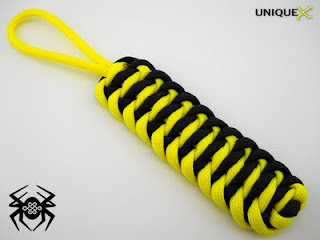 But, you can try to figure it out for yourself, the only difference in tying this design and the Paracord Utility Pouch design is starting the Crown Knot. 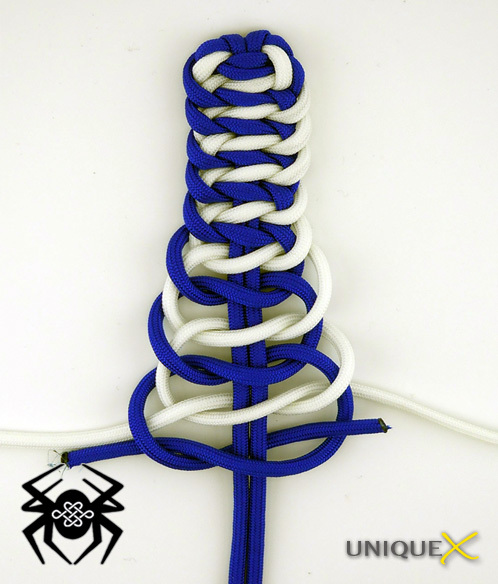 JD has a video that will help you tie the Crown Knot, it is called the (Cylindrical) Secret Compartment Fob, and it will show you how to tie a three strand Crown Knot. Once you've figured that out, then you should have no problem tying JD’s Dragon Egg Paracord Pouch. 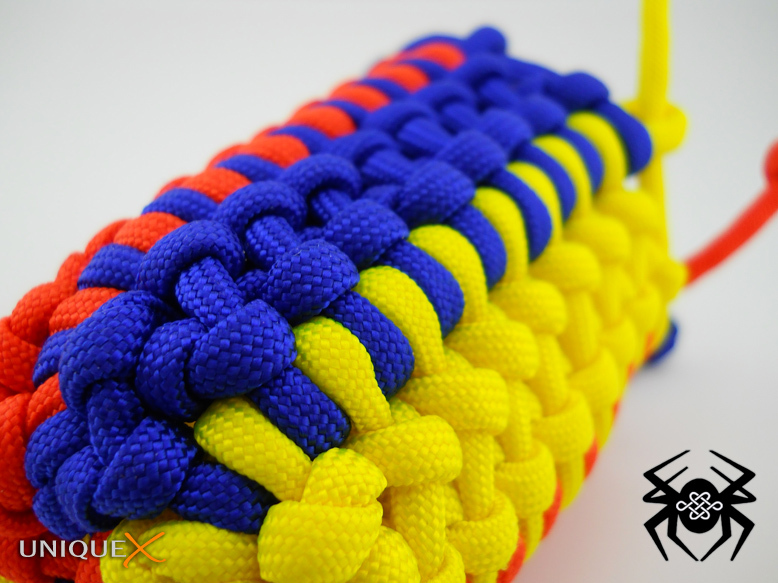 I originally saw this design on the TIAT Facebook page and when I tried to tie it there was no tutorial available. Since then JD has created a video of the tying technique for this design. This design is one of two of JD’s modifications on the Solomon Bar that are in this article. 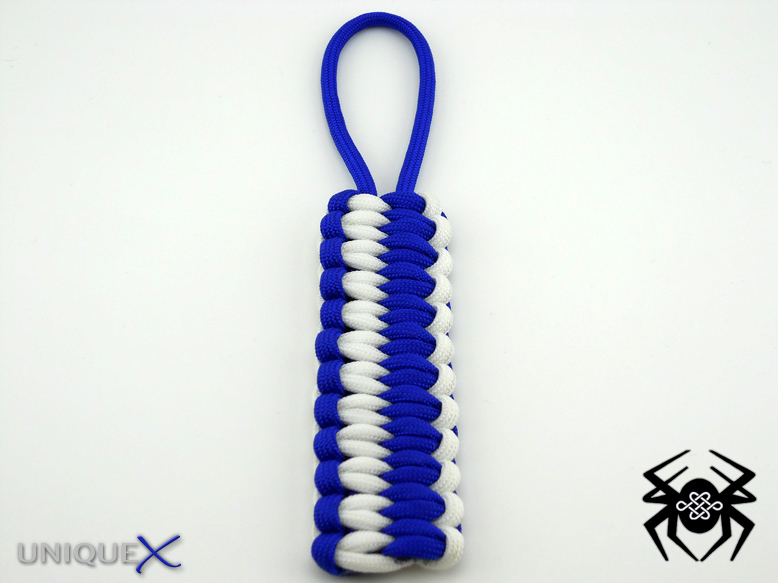 Both of which would make a great key chain or bracelet. 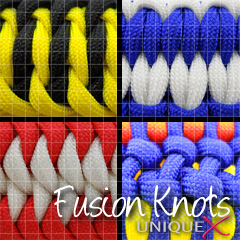 Labels: "blaze bar", "fusion knots", "mated snakes", "paracord dragon egg", "tire tread bar"